President Donald Trump's former lawyer Michael Cohen filed a lawsuit Thursday claiming the Trump Organization broke a promise to pay his legal bills and owes at least $1.9 million to cover the cost of his defense. The lawsuit, filed Thursday in New York state court, claims the Trump Organization stopped paying Cohen's mounting legal fees after he began cooperating with federal prosecutors in their investigations related to Trump's business dealings in Russia and attempts to silence women with embarrassing stories about his personal life. It alleges breach of contract and seeks damages on Cohen's behalf. Messages seeking comment have been left with the Trump Organization. The lawsuit says the company stopped paying for his legal defense about two months after the FBI raided Cohen's home and office last year. 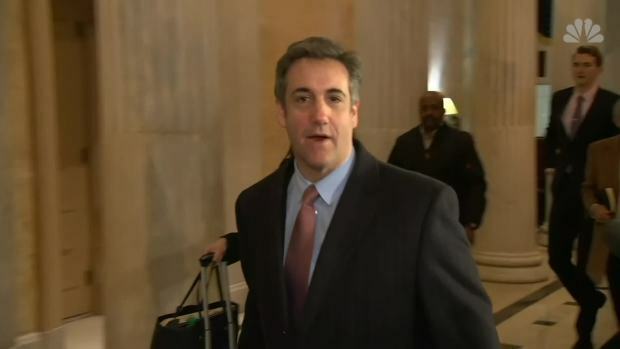 It says that was around the time Cohen began discussing privately with friends and family that he was considering cooperating with special counsel Robert Mueller and federal prosecutors in New York. "When it was publicly reported that I might be cooperating with prosecutors, the Trump Organization breached its agreement and stopped paying fees and costs," Cohen said in a statement released by his attorneys. Cohen pleaded guilty in August to tax crimes, lying to Congress and campaign finance violations. He is expected to begin serving a three-year prison term in May. The lawsuit said that as part of his work for Trump, the company agreed to indemnify him for his company-related work. It said the Trump Organization initially lived up to that promise, footing the bill for more than $1.7 million in Cohen's legal fees. Cohen hired the law firm McDermott Will &amp; Emery in spring 2017 after it became clear he was a "person of interest" in Mueller's investigation. That firm withdrew from his case late last spring after the Trump Organization stopped paying Cohen's bills, a withdrawal the lawsuit says "prejudiced" Cohen's ability to respond to the federal investigations. In addition to the $1.9 million in legal fees Cohen is seeking, the lawsuit claims the Trump Organization should also pay the $1.9 million Cohen was ordered to forfeit "as part of his criminal sentence arising from conduct undertaken by Mr. Cohen in furtherance of and at the behest of the Trump Organization and its principals, directors, and officers." Cohen was one of Trump's lawyers and closest advisers for a decade until their public split last summer. 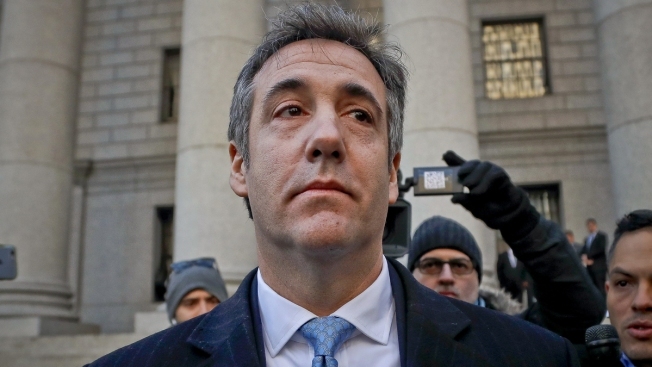 After once bragging that he would "take a bullet" for the president, Cohen met with federal prosecutors in New York and with the office of special counsel Robert Mueller, telling them he had lied to Congress to protect Trump and paid off two women to keep them from speaking out about alleged affairs with Trump. Earlier this year, Cohen hired two new Chicago lawyers and parted ways with the attorneys who represented him for months as he cooperated with Mueller and prosecutors in the Southern District of New York. The Associated Press previously reported that the shake-up followed what a person familiar with the matter described as a dispute over unpaid legal fees. The person spoke to The Associated Press on the condition of anonymity due to the sensitivity of the matter. 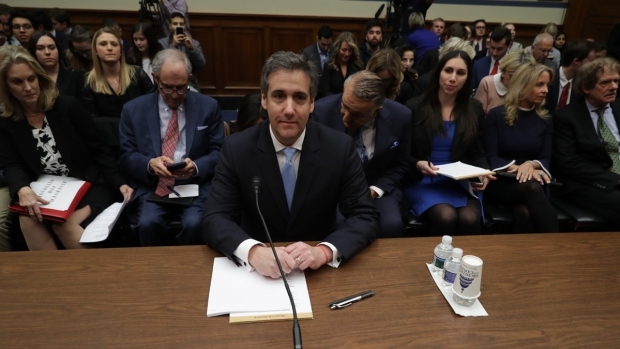 Last week, Cohen told lawmakers he also has not been paying Lanny Davis, an attorney who has served as an adviser and spokesman for Cohen over the past several months. "So he's doing all this work for nothing?" 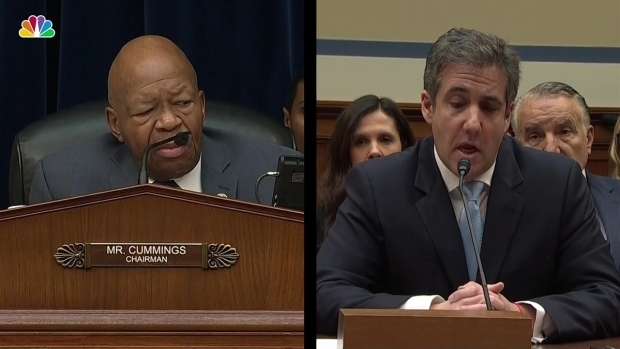 U.S. Rep. Jody Hice, R-Ga., asked Cohen during his daylong testimony before the House Oversight and Reform Committee. Cohen told Congress that Trump was a racist, a liar and a con man. Trump, in turn, has assailed Cohen as a "rat" and a "serial liar." Cohen has also tried crowdsourcing his legal fees. A GoFundMe page that Davis set up for Cohen after he first pleaded guilty in August has collected about $215,000, including $50,000 from an anonymous donor.